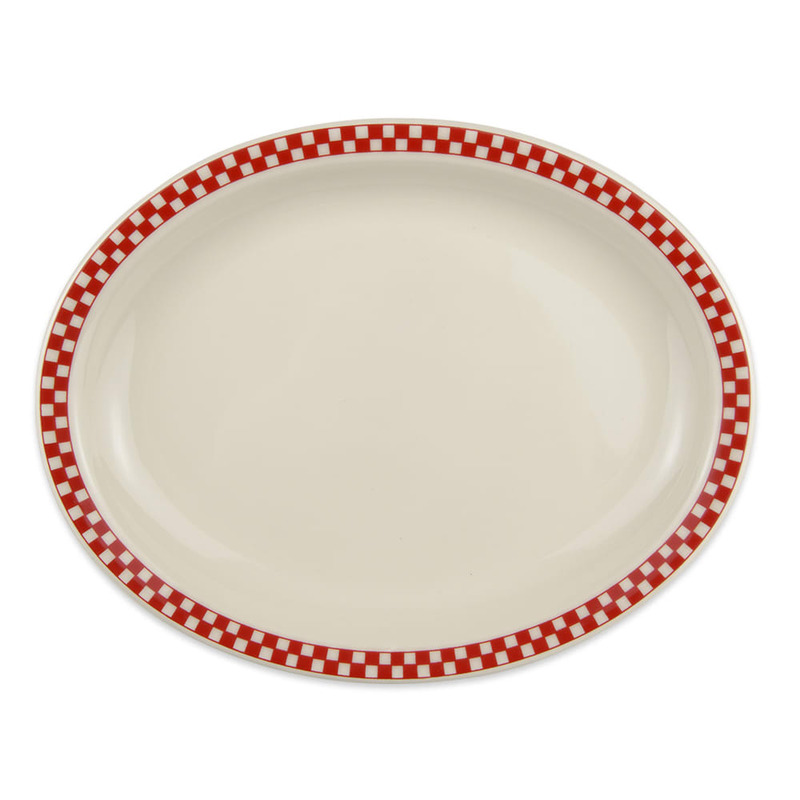 The Homer Laughlin 2605413 oval platter has a large surface with a small rim, creating more room for food. 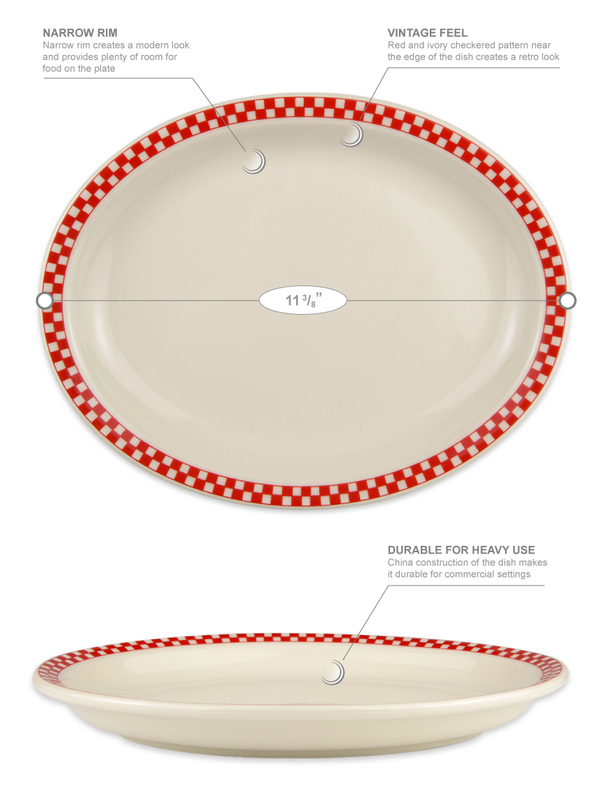 The oval shape and 113⁄8 inch diameter create a great vessel for large meals and sampler plates. Scratching on the surface and chipping along the edge are prevented thanks to the china build of the dish; this construction also provides durability for heavy use in commercial kitchens. 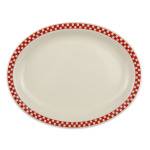 A retro vibe is created with the red and ivory checkered pattern along the edge of this Homer Laughlin 2605413 oval platter.